A wealth of activities - on site and off! 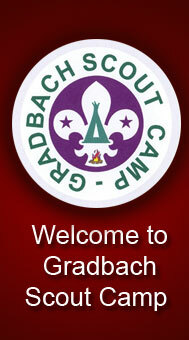 Some bring their Troops to Gradbach for a taste of authentic Scouting and to practice the old skills of Pioneering and Backwoodsmanship. Whether this means rope bridges across the River Dane, Bivouacs in the Training Ground or Orienteering around Back Forest, Gradbach has it all. Others use our beautiful site as a base to explore the magnificent Peak District and then there are the thrill seekers who come to experience climbing at the famous 'Roaches', pot holing, hang gliding, canoeing or sailing at nearby venues. Here we hope to give you a taste of some of the many activities available either on the site or within easy reach for weekend and longer term visitors alike. If you have any specific requirements please ask. Our friendly and experienced staff will be delighted to share their extensive local knowledge with you. Derbyshire Scouts Activity Support Unit - looking for some assistance or support with your camp activities? Please follow this link for activity contacts and events in Derbyshire. The best routes at the Roaches are generally VS and above. It is split into three main areas, the Lower Tier, Upper Tier and Far Skyline. At VS there is Valkyrie plus Black and Tans, at HVS The Sloth and Saul’s Crack are the most famous and testing. There are a good number of epic struggles on the Lower Tier, Valkyrie direct and the Mangler spring to mind. 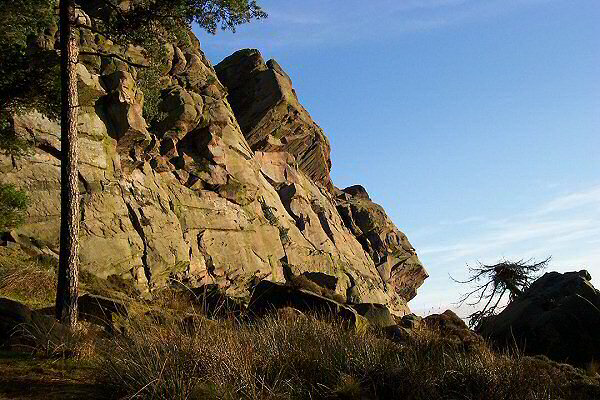 Whether you are teaching beginners the art of climbing or abseiling or seeking adventure as an experienced climber, you'll find what you're looking for at the Roaches. This pretty outcrop is where ex-1st Buxton Scout and 'old boy' of Gradbach Simon Nadin learnt his craft before going on to be the first Climbing World Cup Champion in the history of the sport. Need help? 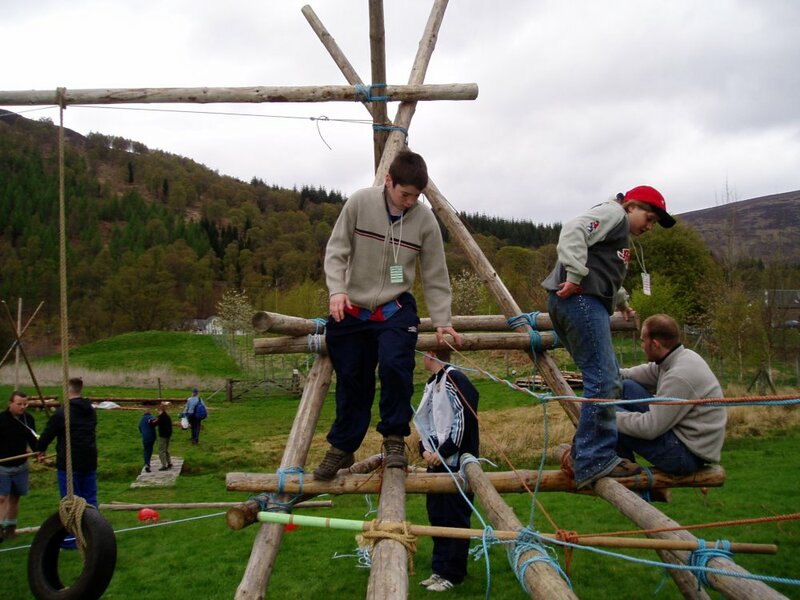 The Derbyshire Climbing (Scout Active Support Unit) offers a selection of rope based activities for all ages. 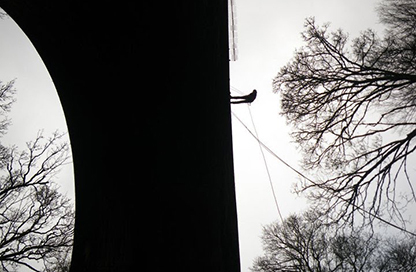 This includes indoor & outdoor climbing, abseiling, crate stacking, training and assessments for permits. Whether you are a long distance walker, a mountaineer, a gentle stroller, walking in the Peak District is for you. Walking in the Peak District offers a diverse and delightful mixture of countryside from which to choose. You may prefer to trek across exposed moorland where walkers now have more freedom to roam, thanks to the recently introduced Access rights. Alternatively there are easier paths to pursue, especially around the White Peak where walkers can descend into the Derbyshire Dales and follow riverside paths, woodland tracks or simply cross fields and stiles over an undulating landscape with glorious far-reaching views. Our closest provider for water activities is Tittesworth Resevoir, just 7 miles by road, between the Roaches and Leek. 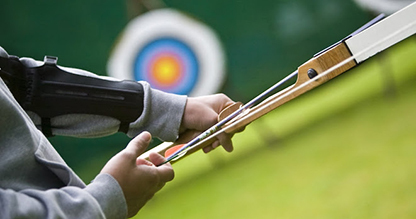 Open 7 days a week they offer a full range of water sports, archery, axe throwing and team building activities..
Tittesworth Water Sports and Activity Centre is a British Canoeing Accredited Centre. 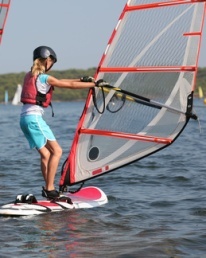 Bordering the Peak District National Park, Tittesworth offers visitors a range of water sports activities (including Raft Building, Kayaking, Paddle Boarding as well as, fishing and other tailored activities). 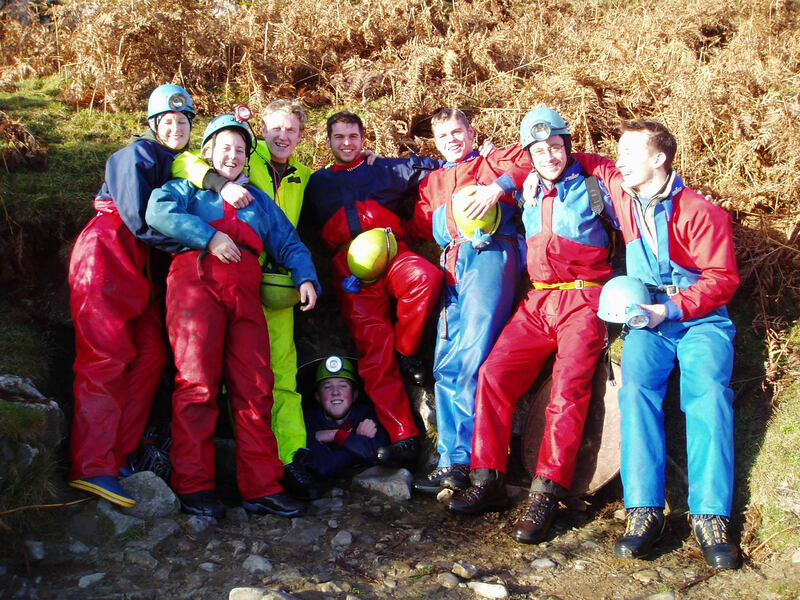 Pot Holing and Caving tours and instruction is provided by a number of local organisations including Peak Activities and Outdoor Instruction. Alternatively, everyone can explore Poole's Cavern in Buxton, a 2 million year old natural limestone cave situated in the beautiful woodland of Buxton Country Park. Hacking and trekking on an hourly or daily basis. British Horse Society Approved. Weekend trail rides through the Derbyshire Dales and Chatsworth estate, with overnight stay in Bakewell. Horses for all ages over 7 years. Groups and disabled riders welcomed. Open all year round. Telephone for current rates. The terrain around Gradbach is a favourite destination for cyclists of all types; the ruggedly diverse landscape provides an excellent challenge for road cycling and, Mountain biking alike, and supports many scenic cycle-routes which run through the heart of the breathtaking countryside. 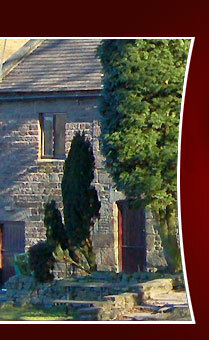 Visit PeakDistrictOnline for details of some popular routes. Go Ape is an award-winning high wire forest adventure course of rope bridges, Tarzan Swings and zip slides up to 40 feet up in the trees. Appealing to a wide age range, customers are fitted with a climbing harness, given instructions, and then trek from tree to tree high above the forest floor. 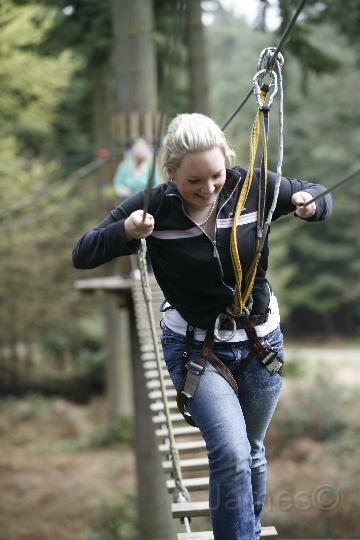 Go Ape is located by Poole's Cavern and Buxton Country Park which is 1/2 mile from Buxton town centre on Green Lane. From A6 and A53 follow brown direction signs for Poole's Cavern to B5059 / A515 junction and follow Green Lane for 1/2 mile. Bus and rail links to Buxton town centre are 15 minutes walk to Poole's Cavern. Orienteering courses of varying difficulties are set out within the camping ground boundaries. Originally mapped out by Business and Leisure students from Buxton’s High Peak College and recently updated by the University of Derby, the orienteering course is ideal for passing a couple of hours away whilst learning practical skills. Want to participate in a traditional camp fire ? Close to Site 6 (see camp site map) we have a unique camp fire circle. Constructed in an old stone quarry crescent shaped hollow, the terraced seating area gives an ideal location for an evening activity around a camp fire. In association with the Peak National Park, the site has its very own nature trail, which takes in the various types of flora, fauna and wildlife that can be found at the Camp Site. Leaflets are available from the Camp HQ, or can be downloaded here. (to be done). The Camp Providore is located at the left hand end of the Farmhouse accommodation. It stocks a wide range of souvenirs, sweets, drinks, miscellaneous camping items and other handy knick-knacks. There is no set opening time, it is just a case of asking a member of the Camp Staff if they will open it for you at a pre arranged time, or there and then. A payphone is situated in the entrance to the Rover Den and is marked accordingly on the door. The phone is only equipped for out going calls and has the same facilities as most public payphones found elsewhere. Most mobile networks do now work in and around Gradbach, although reception can occasionally be poor, dependant on which direction you are facing ! We have a small selection of pioneering poles available. If you wish to use them, or require them transporting to a camp site, please ask a member of the Camp Staff. For safety reasons we do not supply ropes with the pioneering poles, you will have to bring them along with you. St George’s Camp Chapel was officially opened and dedicated in 1966 by Reverend Craven of Buxton. Situated off the lane behind the Cottage, it is unique in that it is an open air chapel and is ideal for all types of services, we have even had two weddings conducted there ! Even if you are not religious it is well worth 5 minutes of your time, especially in the summer months when it is at its most peaceful and tranquil. 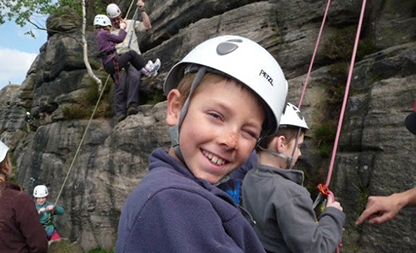 We can offer visiting Scouts the best and most spectacular abseil in the Derbyshire and the Staffordshire Peak District. Millers Dale Bridge spans the gap between the two steep sides of the Wye Valley a few miles south of Buxton. We have the best kit, great instructors, and at £20 per head, the keenest prices on the net. Booking and payment can all be done on-line at www.AbseilingDerbyshire.co.uk or phone Pete on 07831 840233. We can cater for groups of up to 15 in any one session, and sessions can be morning, afternoon or evening. This activity is perfect to be combined with cycling from Hassop Station along the Monsal Trail. 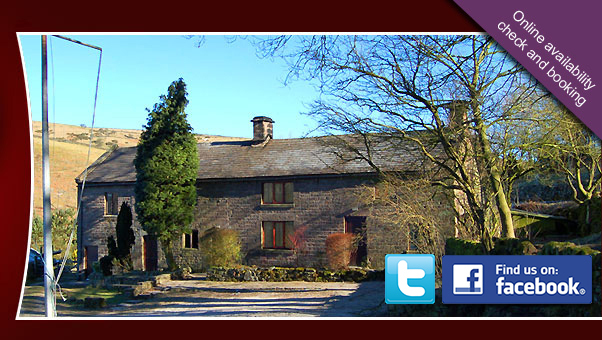 Millers Dale is 25 minutes from Gradbach Scout Camp. If you are staying at Gradbach Scout Camp, you just have to go rock climbing at The Roaches, one of the most iconic crags Peak District. At www.RockClimbingPeakDistrict.co.uk we have put together a crack team of some of the best rock athletes and instructors to offer you a challenging and rewarding experience following in the footsteps of legends such as Joe Brown and Don Willans. Sessions can be a full day, morning, afternoon or evening and prices start from £25 per head. 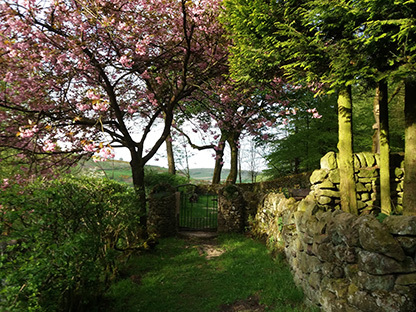 This activity is perfect to be combined with a walk or navigation exercise to or from Gradbach Scout Camp, alternatively, archery or bushcraft on site at the camp. Providing there is space, we can bring our www.ArcheryEvents.co.uk to you at Gradbach Scout Camp. Session times can be to suit your needs and are usually 1 or 2 hours long and each session can cater for up to 15 at a time shooting in 3 details. Prices start at just £8 per head based on 2 groups of 15 in a half day. Each session includes a safety briefing, coaching and a tournament with gold, silver & bronze medallions being awarded to the top 3 archers from the troup. 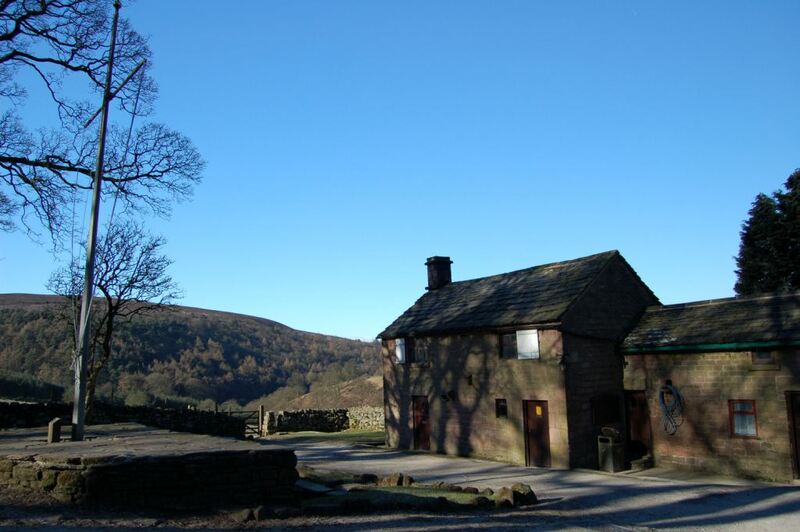 This activity is ideal to back up with a bushcraft experience on site at Gradbach, rock climbing at the Roaches or abseiling at Millers Dale Bridge. www.MoorlandsBushcraft.co.uk can share their experience and knowledge with visiting groups on site at Gradbach Scout Camp using the fabulous surroundings of the Staffordshire Moorlands. Sessions can include fire lighting with a fire steel or bow drill, shelter building, the natural woodland resources, knife and axe skills and the law, making woodland camp tools and implements, Kelly Kettles and the fire triangle. Prices start at £15 per head based on 2 groups of 12 during the day.